individual researchers and experimenters who wish to experiment with, play with, or tinker, tweak and fine-tune these Proof-of-Principle prototype devices for any of a variety of applications. commercial R&D technical personnel, and for OEMs wishing to incorporate this technology into their devices, or to take their existing NCI-reduction technologies to another level of performance. Such users may usually prefer to experiment with, play with, and ultimately, to tinker, tweak and fine-tune these Proof-of-Principle prototype devices for incorporation into OEM devices intended for any of a variety of applications. For commercial R&D entities and for OEMs, liberal licensing arrangements are readily available for the devices and for the specialized exotic components. Please note these devices are not intended for use by people with moderate to severe electrosensitivity (aka ES, EHS). If you want to read why, see the explanation on the FAQ page entitled get to the point -- final reason or start at the top of the full explanation. Note to OEM's: Please contact us for pricing, terms and availability, and for info on technology transfer. Prices may vary from those listed below - lower for devices purchased in quantity and higher if technology licensing is required. A brief note as of July 20, 2006: Due to the unexpected and very high level of interest in the latest generation of my devices using this Coherent Space technology across a wide range of potential users, we have started to produce limited quantities of these prototype PoP devices to make them available for serious experimenters and researchers. Thus, while this is not primarily a sales site, we are, at this early stage in the release of this generation of the technology, willing and able to make small quantities of these prototype PoP devices available to interested parties. A brief catalogue of some off-the-shelf Proof of Principle (PoP) prototype offerings follows, along with pricing. Offerings are very limited in quantity, intended for bona-fide individual researchers, commercial researchers and OEMs only and, of course, I reserve the right to determine what is available for sale, and to whom, at a given moment. All sales are final. Please be forewarned that some potential or would-be purchasers may be turned down, for any of several reasons. Please contact me via email or phone prior to ordering or paying for any devices, and please do not simply go to the payment page and send a payment. Please note that any calls or emails for any consulting purposes must be prepaid. If you wish to order any prototype devices, we request that you contact me first to determine prototype availability, permission to order, and exact amount of S/H, prior to placing any order or sending any payments. These terms apply to any and all devices shown or offered on this website. We cannot sell to residents of Maryland, Illinois or Indiana. Remember that we offer no warranty or guarantee, express or implied. All sales are final. No returns, no refunds, no samples, no trade-ins toward later purchases. We do not sell consumer items, but only sell PoP prototype experimental research devices to researchers, engineers, scientists, commercial R&D laboratories and OEMs. All sales are final. Once placed, orders cannot be cancelled or changed and no refunds are possible. All orders must be pre-approved and prepaid. We usualy ship most prototype devices within one to two weeks of receipt of cleared payment (i.e. receipt of online payment or after a check or money order clears.) Larger orders or orders for three or more of one type of device may result in longer lead times prior to shipment. All customers outside USA are responsible for paying any customs fees, broker fees, import duty and any other fees which may be incurred by shipment of products. These are PoP Prototype Devices; They May Not be "Pretty"
Please understand that any and all products are PoP prototype devices, and are sold as prototype experimental research devices only, and with no attendant claims of performance or effect. All sales are final. We have a no-return policy, and so there are no returns or refunds allowed, accepted or offered; likewise we cannot accept trade-ins of already-purchased prototypes toward purchases of other (i.e., more expensive) prototype models. There are no guarantees or warranties as to performance, effects, results, or workability offered, expressed, or implied. There are no other warranties or guarantees expressed or implied. This is largely because these devices are offered ONLY on a very lmited basis, are not offered on the consumer marketplace, and are offered only as proof of principle (PoP, aka proof of concept) prototypes. In other words these are engineering evaluation prototypes, designed for use by experimenters, researchers, scientists and engineers.. Since these are proof-of-performance prototypes (aka proof of concept prototypes) and each unit has been carefully handcrafted manually and designed and engineered primarily for functionality, and thus they will look as if they were built by hand, complete with variations in appearance and consistency of design or engineering across models and within models; the devices may not be "pretty" from an aesthetic point of view. In other words, these devices are NOT polished consumer-oriented devices produced by automated assembly-line mass-production lines, and rather, are constructed by hand. You must realize that there will be some variance in appearance across devices within the same model, and most of the devices may bear one or more cosmetic blemishes due to the manual nature of the assembly process. Further, these devices bear simple waterproof printed paper labels bearing only text, instead of the fancier multi-colored labels complete with images or logos often found on mass-produced consumer devices. Likewise, if you were to examine the interior of the devices, you will notice considerable variance in appearance and layout even within a model line as we experiment with various methods of component placement, and also due to availability of certain key components. Yes, we do ship regularly to countries outside the USA. We ship all outside-US orders via USPS Global Express Mail insured, as it is relatively inexpensive and quite reliable, and even offers a modicum of a tracking number. If you need a quote on S/H charges via USPS Global Express Mail to your country for one or more devices, please just ask and I will send you an exact S/H charge quote via return email. We can also ship to foreign countries via UPS if you ask, but that mode of shipping is considerably more expensive than USPS Global Express Mail. For all outside-USA shipping, we provide a full Customs shipping declaration sheet. Customer bears responsibility for any and all Customs charges or surcharges imposed by Customs or their government agencies. While we do ship all packages insured, we are responsible for shipping orders only, and once shipped, our responsibility has ended. The customer takes fully responsibility for the package once we have shipped it at our local shipping depot. All orders must be pre-approved and prepaid. Shipment time for most orders consisting of 1 or 2 prototype devices is within one to two weeks of receipt of payment (i.e. receipt of WePay payment or after a check or money order clears.) Lead time on larger orders may be longer. Expedited preparation and shipping may be available at a surcharge of $60 per device. 10% discount on the product price if ordering 3 or more of the same device at the same time. 15% discount on the product price if ordering 5 or more of the same device at the same time. Please understand that if you are placing an order for 3 or more devices of the same type, or placing a large order, lead time after payment is received may be considerably longer than the normal stated times. For payment methods, please see the Payments Page. Note to OEM's: Please contact us for pricing, terms and availability, and for info on full technology disclosure. Prices may vary from those listed below - lower for devices purchased in quantity and higher if licensing is required. Please see all caveats and guidelines above. These are the devices with the quantum coherence or "smoothing" effect, which seems to reduce the harmful subtle energy effects of EMF fields, and thus these devices are what I consider to be the foundation of our prototype product line. In fact, all of the devices in our other categories are designed to be operated in conjunction with a Quantum Coherence device which will be treating the same area or space. Incidentally, there is some limited evidence that the Quantum Coherence devices from the Model AUTO-21 on up seem to improve gasoline mileage and reduce engine pinging when installed in an automobile; it is too soon to be able to state this for certain at this time. Quantum Coherence Attractor Device for Individual Biofield, PoP Prototype Model IND-14 - Discontinued; product catalog listing will remain in place for informational purposes. Quantum Coherence Attractor Device for Automobile or Small Space, PoP Prototype Model AUTO-21 (and AUTO-21S model) - Discontinued; product catalog listing will remain in place for informational purposes. 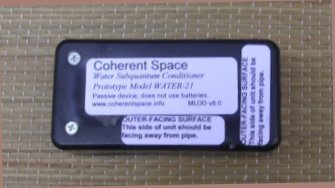 Quantum Coherence Attractor Device for Cold Water Pipes, PoP Prototype Model WATER-21 - Discontinued; product catalog listing will remain in place for informational purposes. 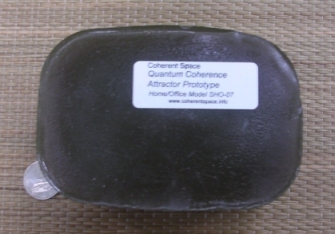 Quantum Coherence Attractor Device for Small Home or Office Space, PoP Prototype Model SHO-05 - Discontinued; product catalog listing will remain in place for informational purposes. Quantum Coherence Attractor Device for Large Home, Office Space or Commercial/Industrial Space, PoP Prototype Model SHO-07 - Discontinued; product catalog listing will remain in place for informational purposes. Quantum Coherence Attractor Device for Home, Large Home or Office Space, PoP Prototype Model HO-09, also Model SWHO-09 (a fully-switched laboratory version of the Model HO-09) - Discontinued; product catalog listing will remain in place for informational purposes. Quantum Coherence Attractor Ultra-Field Device for Home, Large Home or Office Space, PoP Prototype Model UBHLS-29 - Discontinued; product catalog listing will remain in place for informational purposes. These are specialized devices, primarily employed in commercial, agricultural or industrial settings to assist with the brewing via fermentation of any of several kinds of beneficial microbes, including syntropic antioxidative microbes (SAM) and PNSB. 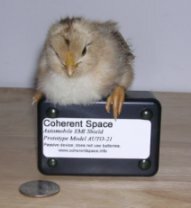 While each of them does exhibit at least a very mild quantum coherence field effect for a limited range, that is not their primary purpose nor intent, and instead, these devices are intended -- for optimal results -- to be operated in conjunction with one of our Quantum Coherence devices (above) which will be treating the same area or space. These are specialized devices, and while the standard (lower-powered) device is sometimes used in home or office settings in conjunction with one of the Coherent Space devices, these devices are primarily employed in commercial, agricultural or industrial settings to assist with dealing with odors and/or runaway oxidative or putrefactive processes, or with waste treatment or wastewater remediation. 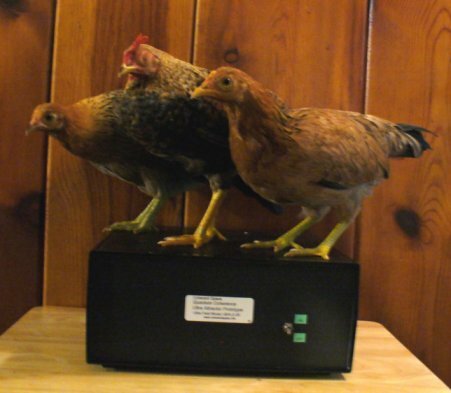 While each of them does exhibit at least a very mild quantum coherence field effect for a limited range, that is not their primary purpose nor intent, and instead, these devices are intended -- for optimal results -- to be operated in conjunction with one of our Quantum Coherence devices (above) which will be treating the same area or space. These are specialized devices, created in accord with inner guidance, and where the primary effect seems to be a life-enhancing bioenergy effect and effect on an extremely subtle "subtle energy" level as well. I prefer to look at the devices in this category as helping to create a sacred space. Yet, they create this sacred space without imposing an "external" frequency or energy or field upon the local space, but rather by selectively amplifying and enhancing certain beneficial and very subtle energies already present. 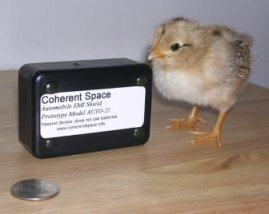 While the devices may exhibit at least a very mild quantum coherence field effect for a limited range, that is not their primary purpose nor intent, and instead, these devices are intended -- for optimal results -- to be operated in conjunction with one of our Quantum Coherence devices (above) which will be treating the same area or space. Created because of repeated nudging and requests from several colleagues and acquaintances, with a bit of nudging also from some colleagues who are intuitives and finally, with a big nudge from Holy Spirit and Supreme Heart, this PoP prototype device is intended to act as a 24-hour-per-day beacon to attract a number of types of beneficial and friendly non-corporeal (that is, disembodied beings who exist totally on an energetic or etheric level) beings such as those which have often been known in human lore as faeries, elves, and numerous related beings, and also as a beacon for friendly luminous beings, also known as friendly UFOs. The device is also intended to create a life-enhancing bioenergy effect on the subtle energy level, and each Faerie Beacon also incorporates my basic and fundamental Quantum Coherence technology as well, same as incorporated in my Quantum Coherence devices. So, the device is intended to create a sacred and friendly space for friendly beings from the spirit world, and to act as a beacon to attract them from over 3000 miles away in our physical world and from distances of tens of thousands of miles and more on energy and etheric levels. As a footnote, the Quantum Coherence portion of the Faerie Beacon device is 4 times more powerful than the Quantum Coherence Attractor Model SHO-05 listed above and 1.2 times more powerful than Quantum Coherence Attractor Model SHO-15C, but with the addition of the Faerie Beacon technology as well of course, and the range of the strongest coherence effect from the Quantum Coherence portion extends to a radius of about 215 feet, with a significant and usable coherence effect extending to a radius of about 528 feet. Faerie Beacon Device, PoP Prototype Model FBD-24 - Discontinued 3/15/2011. These are the devices with the quantum coherence or "smoothing" effect, and thus these devices are what I consider to be the foundation of our prototype product line. In fact, all of the devices in our other categories are designed to be operated in conjunction with a Quantum Coherence device which will be treating the same area or space. This is a passive device, meaning that it is not powered by batteries or any conventional source of electric current, and rather only by naturally-occurring "noise" fields and non-classical components of EMF noise pollution in quantum space. All components are sealed in a specially-treated polyester resin potting compound in a small case the same size and shape of a key fob automobile alarm remote control; sizes will vary somewhat. Case is a dark plastic and all components are sealed in case for protection. Device is intended to be worn on the person, within the biofield, in a pocket, within two inches of the skin, near waist, belly or hip area. Radius of strongest effect is 4 inches and the radius of useful effect is three feet, and device should be worn within a few inches of skin, and preferably closer. Device treatment pattern is entirely omnidirectional, meaning that the field of effect extends in all directions. Price: $325 plus S/H. S/H: $20 for domestic mainland US, UPS Ground or Fedex Ground Shipping only. Below new model replaces above discontinued model. All components are sealed in a specially-treated potting compound in a small case the same size and shape of a key fob automobile alarm remote control; sizes will vary somewhat. Case is a dark plastic and all components are sealed in case for protection. Device is intended to be worn on the person, within the biofield, in a pocket, within two inches of the skin, near waist, belly or hip area. Radius of strongest effect is one foot and the radius of useful effect is ten feet. IND-24C price: $422 plus S/H. S/H: $20 for domestic mainland US, UPS Ground or Fedex Ground Shipping only. Model IND-24C is the same size as and looks much the same as model IND-14 shown above, but has 3.3 times the radius of effect. All components are sealed in a specially-treated polyester resin potting compound in a small and hardy sealed dark plastic case a bit smaller than a pack of cigarettes. Nominal dimensions for a typical device are 2.9" x 1.9" x 0.9" (approx. 3" x 2" x 1") but actual size may vary; some devices may be slightly smaller or slightly larger in size. Device is intended to be placed in or near the center of the passenger compartment of an automobile, perhaps on the center console between front seats, or at the center of a small home or office space. The radius of quantum coherence effects for the model AUTO-21S, which is about the same physical size as the AUTO-21, but which is more powerful, is about 40% greater than that listed above for the model AUTO-21; in other words, the radius of effect for the AUTO-21S for strongest effect is about 21 feet..
Device treatment pattern is entirely omnidirectional; there is no directional effect. This Quantum Coherence device, when installed in an automobile within ten feet of the engine, seems to improve gasoline mileage on the order of about 10% to 14%, and seems to drastically reduce or eliminate engine pinging due to carbon deposits in the upper cylinders. However, this is just my observation, and I refuse to make any absolute statements or claims until and unless I have the time and funds to have a reputable independent automotive testing lab run some dynamometer tests. If and when I do that, I will share the results on this website and on my coherence e-mail list groups. Price for model AUTO-21: $425 plus S/H. S/H: $20 for domestic mainland US, UPS Ground or Fedex Ground Shipping only. Price for model AUTO-21S: $460 plus S/H. S/H: $20 for domestic mainland US, UPS Ground or Fedex Ground Shipping only. (chick not included) Quarter shown as size indicator only. Actual device size may vary somewhat. Below new models replace above discontinued models. All components are sealed in a specially-treated potting compound in a small and hardy sealed dark plastic case a bit smaller than a pack of cigarettes. Nominal dimensions for a typical device are 2.9" x 1.9" x 0.9" (approx. 3" x 2" x 1") but actual size may vary; some devices may be slightly smaller or slightly larger in size. Device is intended to be placed in or near the center of the passenger compartment of an automobile, perhaps on the center console between front seats, or at the center of a small home or office space. The radius of quantum coherence effects for the model AUTO-31SC, which is about the same physical size as the AUTO-31C, but which is more powerful, is about 40% greater than that listed above for the model AUTO-31C; in other words, the radius of effect for the AUTO-31SC for strongest effect is about 68 feet..
Device components, including signal conditioners, exotic silver / Teflon / copper / glass antenna and special negentropic compounds, have been potted in a proprietary compound containing several exotic compounds, one of which has been produced by a complex alchemical and biogenic digestion process. Entire device has been treated after production with a special Peaceful Radiance treatment field. Any and all effects of the device should be relatively permanent, and properties will last for at least 30 years. Price for Model AUTO-31C: $552 plus S/H. S/H: $20 for domestic mainland US, UPS Ground or Fedex Ground Shipping only. Price for Model AUTO-31SC: $598 plus S/H. S/H: $20 for domestic mainland US, UPS Ground or Fedex Ground Shipping only. (chick not included) Quarter shown as size indicator only. Actual device size may vary somewhat. Model AUTO-31C is about the same size as and looks much the same as model AUTO-21 shown above, but has 3.3 times the radius of effect. All components are sealed in a specially-treated polyester resin potting compound in a small and hardy sealed dark plastic case a bit smaller than a pack of cigarettes. Nominal dimensions for a typical device are 2.9" x 1.9" x 0.9" (approx. 3" x 2" x 1") but actual size may vary; some devices may be slightly smaller or slightly larger in size. Device is intended to be mounted on a cold water pipe. All labels are waterproof. Not for room/space treatment. Price: $425 plus S/H. S/H: $20 for domestic mainland US, UPS Ground or Fedex Ground Shipping only. All components are sealed in a specially-treated potting compound in a small and hardy sealed dark plastic case a bit smaller than a pack of cigarettes. Nominal dimensions for a typical device are 2.9" x 1.9" x 0.9" (approx. 3" x 2" x 1") but actual size may vary; some devices may be slightly smaller or slightly larger in size. Device is intended to be mounted on a cold water pipe. All labels are waterproof. Not for room/space treatment. Water-31C price: $552 plus S/H. S/H: $20 for domestic mainland US, UPS Ground or Fedex Ground Shipping only. Model WATER-31C is about the same size as and looks much the same as model WATER-21 shown above, but has 3.3 times the radius of effect. This is a larger cousin of the AUTO-21 automobile and small space treatment device listed above. All components are sealed in a specially-treated polyester resin potting compound in a small and hardy sealed dark plastic case. Nominal dimensions for a typical device range from about 3" x 2" x ~1" to 4" x 21/4" x 2"; please note that the size may vary. Device is intended to be placed in or near the center of the passenger compartment of an automobile or in the center of a small to medium-sized room or office space. SMLS-42 price: $490 plus S/H. S/H: $24 for domestic mainland US, UPS Ground or Fedex Ground Shipping only. Quarter shown as size indicator only. This is a passive device, meaning that it is not powered by batteries or any conventional source of electric current, and rather only by naturally-occurring "noise" fields and non-classical components of EMF noise pollution in quantum space. However, it employs the same antenna, detector, coherence attractors and impedance matching assembly as employed in the powered Coherent Space Quantum Coherence Device for Home, Large Home or Office Space Model HO-09 listed below. In fact, the field effects of this device are identical to those of the model HO-09 device (listed below) when it is in the power off mode. 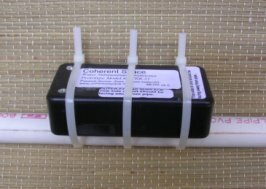 All critical components are sealed in a specially-treated epoxy potting compound in a hardy black plastic case, usually about 6" x 5" x 3", although exact size will vary across prototypes. Device is intended to be placed near the center of a home, office space, or small industrial space. Treatment effect extends in all directions; in other words, device treatment pattern is entirely omnidirectional. SHO-05 price: $550 plus S/H. S/H: $30 for domestic mainland US, UPS Ground or Fedex Ground Shipping only. (chicks not included) Quarter shown as size indicator only. This is a passive device, meaning that it is not powered by batteries or any conventional source of electric current, and rather only by naturally-occurring "noise" fields and non-classical components of EMF noise pollution in quantum space. However, it employs the same antenna, detector, coherence attractors and impedance matching assembly as employed in the powered Coherent Space Quantum Coherence Device for Home, Large Home or Office Space Model HO-09 listed below. All critical components are sealed in a specially-treated potting compound in a hardy black plastic case, usually about 6" x 5" x 3", although exact size will vary across prototypes. SHO-15C price: $715 plus S/H. S/H: $30 for domestic mainland US, UPS Ground or Fedex Ground Shipping only. (chicks not included) Quarter shown as size indicator only. Model SHO-15C is about the same size as and looks much the same as model SHO-05 shown above, but has 3.3 times the radius of effect. Color of box may vary. This is a passive device, meaning that it is not powered by batteries or any conventional source of electric current, and rather only by naturally-occurring "noise" fields and non-classical components of EMF noise pollution in quantum space. However, it has a range of effect that is 44% greater than the Coherent Space Quantum Coherence Device for Small Home or Office Space Model SHO-05 (listed above). All critical components are sealed in a roughly rectangular block of specially-treated polyester resin (enclosing the active components), measuring about 5.5" x 3.8" x 2". This contrasts with other Quantum Coherence Attractor device models which are enclosed in a plastic case. 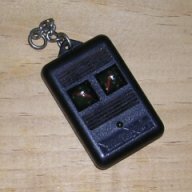 Device is intended to be placed near the center of a large home, office space, or commercial / industrial space. SHO-07 price: $700 plus S/H. S/H: $30 for domestic mainland US, UPS Ground or Fedex Ground Shipping only. This is a passive device, meaning that it is not powered by batteries or any conventional source of electric current, and rather only by naturally-occurring "noise" fields and non-classical components of EMF noise pollution in quantum space. However, it has a range of effect that is 44% greater than the Coherent Space Quantum Coherence Device for Small Home or Office Space Model SHO-15C (listed above). All critical components are sealed in a roughly rectangular block of specially-treated compound (enclosing the active components), measuring about 5.5" x 3.8" x 2". This contrasts with most other Quantum Coherence Attractor device models which are enclosed in a plastic case. SHO-17C price: $910 plus S/H. S/H: $30 for domestic mainland US, UPS Ground or Fedex Ground Shipping only. Quarter shown as size indicator only. Model SHO-17C is about the same size and shape as model SHO-07 shown above, but the exterior surface has a different, rougher, stone-like textured, light gray color. COM/RF-16C price: $1,365 plus S/H. S/H: $40 for domestic mainland US, UPS Ground or Fedex Ground Shipping only. 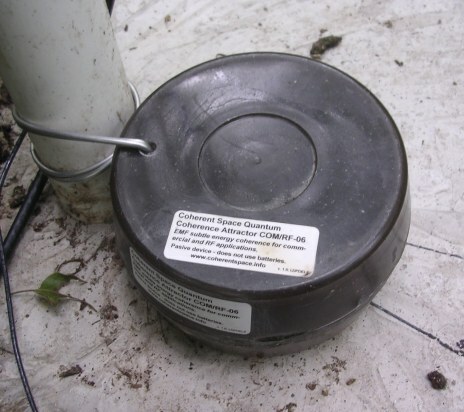 The photo above shows an earlier version, model COM/RF-06, attached to a pole in an outdoor setting. The COM/RF-16C model is about the same size and shape as model COM/RF-06 shown above, but the exterior surface has a different, rougher, stone-like textured, light gray color. This is an active device, meaning that it is powered by four AA high-end high-performance alkaline, titanium-alkaline or lithium ion batteries, which should provide at least 3 weeks and usually one month or more of service with device turned "on". The power on LED display lamp also serves as a low battery indicator. If the battery power drops below a usable level, the lamp will become very dim or will extinguish, indicating that it is necessary to replace batteries or switch to AC power adapter. *Adapter note: A 120 VAC 60 Hz AC to 6 volts DC power adapter is supplied free with the HO-09 (or SWHO-09) device only for orders shipped to US and Canada. The free power adapter for 120 VAC 60Hz power mains is not shipped with the HO-09 (or SWHO-09) when shipped to customers outside US/Canada. If customers in other countries wish to use an external AC power adapter, they will need to find an appropriate AC to DC adapter for their local power system which supplies from 6 volts to 9 volts DC at a current of at least 60 to 90 ma (up to 400 ma is okay). The device is supplied with one DC power jack of a popular size; shell is negative (-) and tip is positive (+). Radio Shack or Tandy stores in most parts of the world will offer such AC to DC adapters, as will many other consumer electronics stores. What is important when looking for a suitable AC to DC adapter is that supply from 6 volts to 9 volts DC at a current of at least 60 to 90 ma (up to 400 ma is okay). 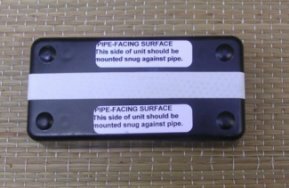 All critical components are sealed in a specially-treated polyester potting compound in a hardy black plastic case, usually about 7" x 5" x 3", although exact size will vary across prototypes. If you wish to install the four AA batteries (supplied) in the battery holder within the case, you will need a small Philips-head (cross head) screwdriver in order to remove the four screws securing the case; the batteries are removed for shipping. When the power switch is turned off, the antenna and quantum space coherence portions of this device are powered only by ambient electromagnetic noise pollution in the ambient space, with a range of strongest effect covering a radius of about 50 feet in all directions, or about 7,850 sq. ft. in the power off mode. When the Range Booster signal injector is turned on, some effects of the device even within the above-mentioned 50 foot radius of effect which is exhibited in power off mode will be stronger as well. 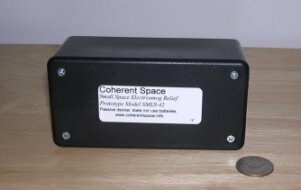 If your attention has also been drawn to the higher-powered Ultra version of the Quantum Coherence device below, allow me to say here that I feel that this HO-09 model is all that is needed for most homes and offices; it is the only Quantum Coherence device which I use to treat the space in our home and my research laboratory, along with my Coherent Space Negentropic (Anti-Entropic) Field Effect Device (model NFED-23). Device components, including oscillator, signal conditioners, exotic silver / Teflon / copper / glass antenna and special negentropic compounds, have been potted in a proprietary polyester resin which contains several exotic compounds, one of which has been produced by a complex alchemical and biogenic digestion process. Entire device has been treated after production with a special Peaceful Radiance treatment field. Any and all effects of the device should be relatively permanent, and properties will last for at least 30 years. Price, Model HO-09: $2,080 * plus S/H. S/H: $30 for domestic mainland US, UPS Ground or Fedex Ground Shipping only. The model HO-09 device listed immediately above is also available in an SWHO-09 version which includes ON/OFF switching of the basic passive area treatment effect via the ON/OFF switch as well, whereas in the model HO-09, the Range Booster ON/OFF switch controls only the Range Booster function, leaving the basic passive area treatment effect functional. The only purpose of the total ON/OFF functionality in the SWHO-09 version is to allow rapid testing of the device in fully-on and fully-off conditions in testing laboratories (this allows a researcher to avoid needing to physically relocate the device 150 feet away from the test site in order to fully remove all quantum coherence effects.) Please note that the added functionality offering ON/OFF switching of the basic passive area treatment effect entails design changes to the antenna as well as modifications of construction technique, and thus a model HO-09 cannot be retroactively upgraded to a model SWHO-09, nor may a model SWHO-09 be retroactively downgraded to a model HO-09. When the power switch on the model SWHO-09 is turned ON, the device is functionally equivalent in all specifications to the model HO-09 device listed above. When the power switch on the model SWHO-09 is turned OFF, the device exhibits no area treatment effects at all (there will actually be a very small effect detectable to about a 2 foot radius); even the passive area treatment effect of the model HO-09 when its Range Booster is turned off is absent in this model when the switch is in the OFF position. Price, Model SWHO-09: $2,210 * plus S/H. S/H: $30 for domestic mainland US, UPS Ground or Fedex Ground Shipping only. Photos below are of the Model HO-09; the appearance of the Model SWHO-09 is largely identical. 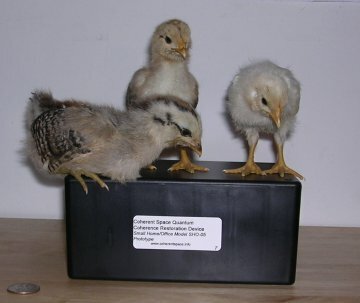 (Bantam chicks not included) Quarter shown as size indicator only. 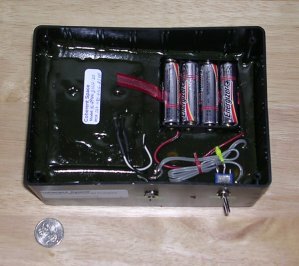 Please note that this device is mounted in a large plastic enclosure, considerably larger than the 7" x 5" x 3" plastic case in which the model HO-09 coherence device (above) is normally built, and the typical size for this Ultra device is about 11" x 12" x 5", although exact size will vary across prototypes. So it is larger and more bulky than the model HO-09 device above. *Adapter note: A 120 VAC 60 Hz AC to 6 volts DC power adapter is supplied free with the UBHLS-29 device only for orders shipped to US and Canada. The free power adapter for 120 VAC 60Hz power mains is not shipped with the UBHLS-29 when shipped to customers outside US/Canada. If customers in other countries wish to use an external AC power adapter, they will need to find an appropriate AC to DC adapter for their local power system which supplies from 6 volts to 9 volts DC at a current of at least 60 to 90 ma (up to 400 ma is okay). The device is supplied with one DC power jack of a popular size; shell is negative (-) and tip is positive (+). Radio Shack or Tandy stores in most parts of the world will offer such AC to DC adapters, as will many other consumer electronics stores. What is important when looking for a suitable AC to DC adapter is that supply from 6 volts to 9 volts DC at a current of at least 60 to 90 ma (up to 400 ma is okay). This device is very similar to the Model HO-09 Coherent Space Quantum Coherence Device for Home or Large Office Space listed above. However, this ultra-field device features a massive and very unique antenna assembly, one which does not greatly increase the range of the effect in both power off and power on modes -- which still remains nominally as listed below -- but which increases the power, the degree of coherence and the depth of penetration of the coherent space restoration effect. In addition, the power level in the power on mode (i.e., Range Booster mode) has been increased as well, by about 100%. The depth or intensity of the quantum smoothing effect seems to be as much as 18% greater for manmade EMF-sources of incoherent fields than the standard model HO-09 listed above (and let me say here that I feel that the HO-09 model is all that is needed for most homes and offices; it is the only Quantum Coherence device which I use to treat our home and my research laboratory), and as much as 35% greater for naturally-occurring geopathic energies than the model HO-09 device listed above. All critical components are sealed in a specially-treated polyester resin potting compound in a hardy black plastic case, usually about 8" x 6" x 4", although exact size will vary across prototypes. If you wish to install the four AA batteries (supplied) in the battery holder within the case, you will need a small Philips-head (cross head) screwdriver in order to remove the four screws securing the case; the batteries are removed for shipping. When the power switch is turned off, the antenna and quantum space coherence portions of this device are powered only by ambient electromagnetic noise pollution in the ambient space, with a range of strongest effect covering a radius of about 70 feet in all directions (or an area of about 15,390 sq. ft.) in the power off mode. When the Range Booster signal injector is turned on, some effects of the device even within the above-mentioned 70 foot radius of effect which is exhibited in power off mode will be stronger as well. This Quantum Coherence device, when installed in an automobile or truck within thirty feet of the engine, seems to improve gasoline mileage on the order of about 10% to 14%, and seems to drastically reduce or eliminate engine pinging due to carbon deposits in the upper cylinders. However, this is just my observation, and I refuse to make any absolute statements or claims until and unless I have the time and funds to have a reputable independent automotive testing lab run some dynamometer tests. If and when I do that, I will share the results on this website and on my coherence e-mail list groups. Price: $2,860 * plus S/H. S/H: $40* for domestic mainland US, UPS Ground or Fedex Ground Shipping only. The photos below depict a Coherent Space Quantum Coherence Type 2-BL1 EMF Protection & Body Energy Field Enhancer, aka Coherent Space QC Type 2-BL1 EMF Protection & Body Energy Field Enhancer. 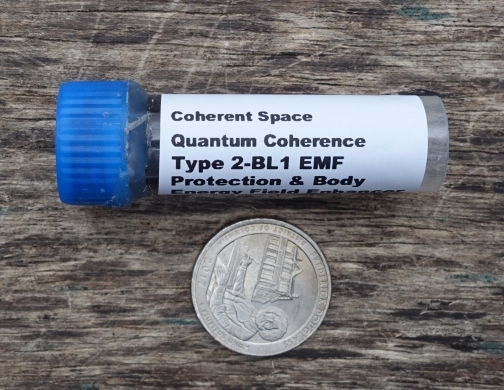 This Quantum Coherence Type 2-BL1 device employs, among other proprietary technologies, special near-magical beneficial probiotic PNSB microbes and their metabolites, and this QC Type 2 technology is even more powerful (for a device of similar mass or size) than the earlier generation of Coherent Space Quantum Coherence technology devices (known as Quantum Coherence Type 1 technology), many of which are described above on this page. 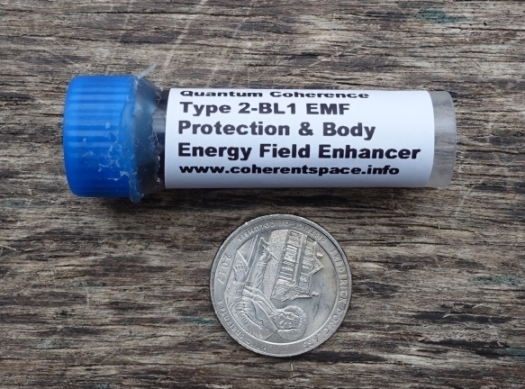 This powerful Quantum Coherence Type 2-BL1 EMF Protection & Body Energy Field Enhancer device helps to protect any and all living creatures (including humans and animals) in its vicinity from the disruptive harmful effects of electromagnetic radiation (aka EMF or EMR), and from harmful disruptive effects from electrical and magnetic fields, and it also provides protection from harmful naturally-occurring earth energies often known by names such as geopathic energy, geopathic zones or geopathic stress zones. The device not only neutralizes harmful chaotic effects upon living biosystems created by the above-mentioned stressors, but transforms and transmutes harmful chaotic energies into a powerful beneficial exotic energy field (aka chi) that interacts with and nurtures and supports the biofield (aka energy body) of the person (or pet) that is wearing the device or carrying it. This small personal protection and body bioenergy-enhancing device -- which radiates a powerful field of beneficial bioenergy (aka chi) that can easily be detected by psychics and intuitives out to a distance of several feet -- measures about 2.4" L x 0.65" diameter, and the white label on the cylinder is protected by a layer of robust, tough and durable weather-resistant 3M Scotchgard transparent urethane protective film. 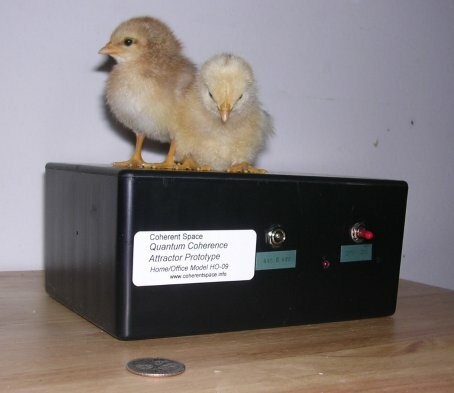 The device is equally effective on humans and on animals (e.g., pets, etc.) of up to 250 pounds in weight (for humans or animals with a body weight greater than 250 lbs., then two, or three, devices may be used as needed instead of one). The device has a radius of strongest effect of 6 inches, and for maximal protective effect and bioenergy-enhancing effect, it should be worn or carried within 6" of the skin (closer to the skin is even better, and the very best placement is within 5" of the skin of the torso or of limbs proximal to the torso, such as upper arms or upper legs). It has been designed to be carried in a pocket, or to be placed in a hip pouch, or to be carried in a neck pouch or pendant pouch worn around the neck, or in a keyfob pouch, or even placed in the tiny key pocket found on many brands of jeans; it may also be carried in a small backpack or daypack if the device is strategically emplaced within the pack so that it is reliably located within 5 inches of the skin of the back when the pack is worn. This device, which employs a liquid medium within the cylinder, exhibits maximal and optimal effects for 20 years after date of purchase under most conditions. These photos show the Coherent Space Quantum Coherence Type 2-BL1 EMF Protection & Body Energy Field Enhancer.